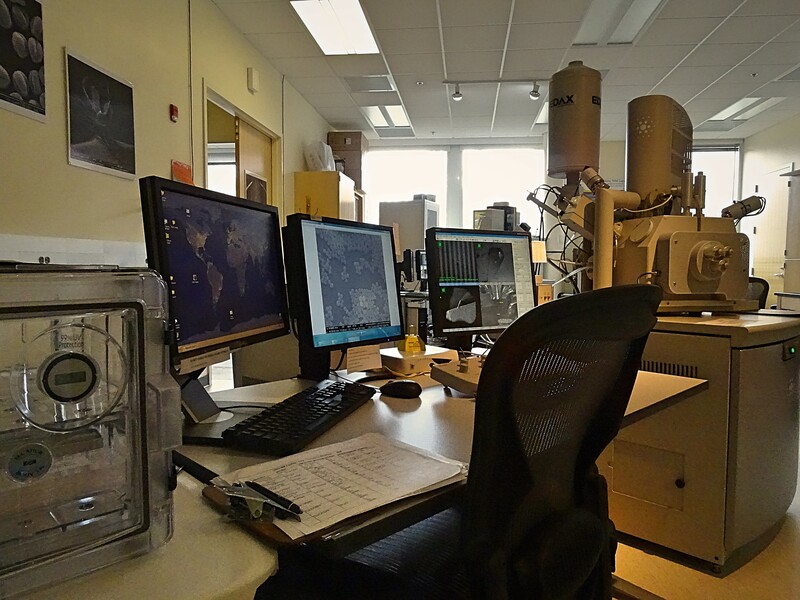 Our “environmental” SEM (ESEM) is ideally suited for microscopy of uncoated non-conductive and hydrated specimens, and for studies of dynamic processes involving changes in specimen temperature and/or state of hydration. Back-scattering electron detector and GAAD cone for backscatter EDS mapping. X-Ray Energy Dispersive Spectrometer (EDS) for elemental spectra, mapping.